A "very early version" Google's prototype vehicle. The self-driving car doesn't include a steering wheel. 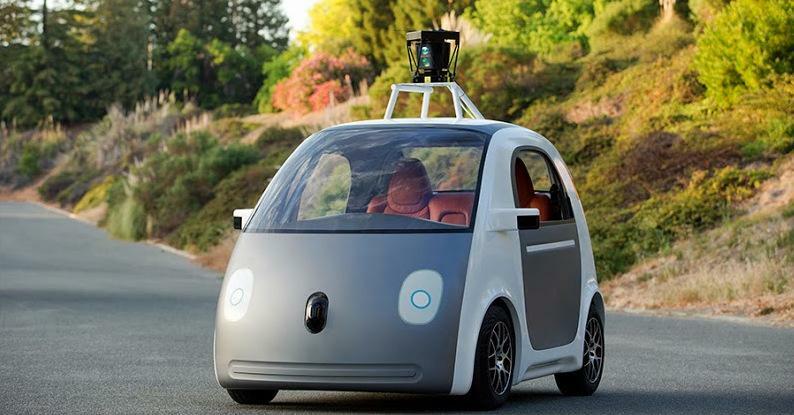 Google is taking the wheel – taking it literally out of the car. The company is set to launch a test fleet of driverless cars in the near future. It's completely reimagining the automobile, removing fundamental features like the gas pedal and the steering wheel. The work raises a fundamental question: is there a market for such automated vehicles? The Texas Standard’s David Brown spoke with University of Texas engineering professor Kara Kockelman, who has analyzed how driverless cars may impact our society. “We’re all incredibly busy, we’d love to have that time to be getting things done … legally … in our vehicle,” she says. Although the technology is rapidly progressing, it isn’t without its share of drawbacks. UT Engineering Professor Kara Kockelman, next to a fleet of driverless car prototypes. While the vehicles are generally regarded as safe, it still may take a number of decades before the technology is fully integrated into American roads. "Some people do drive for pleasure," Kockelman adds, and admits "you can get nauseated if you’re not paying attention to the road." On top of that, a new influx of driverless vehicles could potentially increase traffic. Some options to alleviate a traffic surge include creating a variable pricing system discouraging driving during peak hours. “We’re gonna need some pretty stiff road management decisions made”, she says.